Fintech tour Hell: hot enough for you? The diabolical dominion of Hell is calling out to fintech firms with the offer of tax breaks and moral ambiguity. 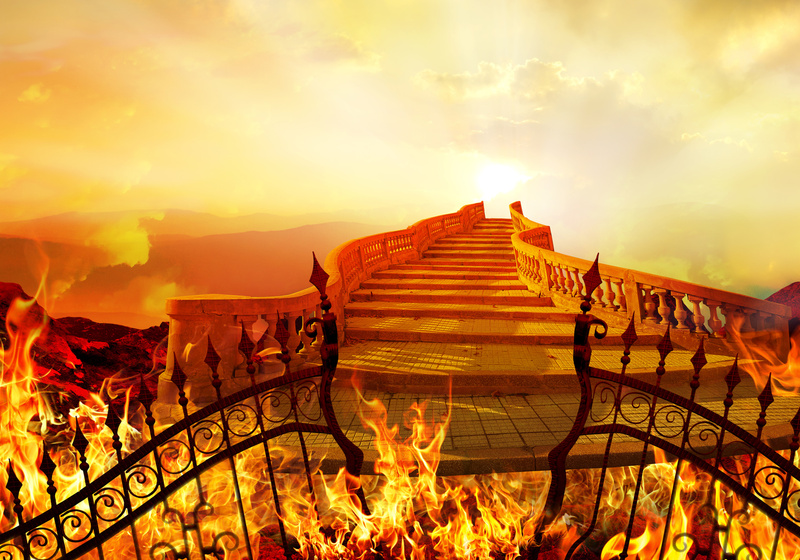 In an exclusive tour of the infernal plane, FinTech Futures was invited to meet Satan and his coterie of fallen angels to hear how they are hellbent on tapping into the “lust” for fintech “riches”. That’s two sins out of seven already crossed off. Good work Beelzebub. As the oldest staff member, by an incredibly long way it must be said, it was decided that I should be sent to the underworld. (Just in case of any problems.) In fact, this trip coincided with FinTech Futures’ editor-in-chief, Tanya Andreasyan, telling me to “go to Hell”. Although this does happen at the end of every conversation I have with her. Ah well. As an atheist I was mildly surprised to find that Lucifer and his soulless sanctuary are real. I had assumed they were just another set of ancient religious superstitions designed to sow fear into the hearts of those who can’t think for themselves. That said, I wasn’t against such concepts as they have resulted in extraordinary feats of imagination – i.e. Dante’s The Divine Comedy, Milton’s Paradise Lost, The Omen movies and some awesome heavy metal albums. Anyway, onto the tour. The good news for fintech companies is that you don’t have to be dead to enter the abyss. Satan, with the wisdom that befits his supra-genius intellect, recognises that this may deter some firms. You are free to come and go as you please. Just remember to use a pentangle, candles and the correct potions when transferring between dimensions. The Devil is reasonable enough once you get to know him. Let’s not forget, he was kicked out of Heaven for being overly ambitious. But perhaps best to keep clear of that subject as that may send him into an unholy rage. Wow. What a temper. You can easily do business here. Satan is keen on making money, acts and talks briskly, and generally has a cool acerbic demeanour. He’ll talk to you politely if you are of use to him. Pretty much like 90% of people I meet at fintech conferences. The Antichrist and his acolytes are not unpleasant on the eyes. They are merely angels that didn’t quite fit the “company ethos” of Heaven and are now called devils as part of a rebranding exercise. They have wings and human features – but they do come across as jaded and bitter at times. Kind of like some journalists aged in their late 40s. Hades is not as bad as you may think. It is very warm – but I routinely use the aircon-free Piccadilly line on London’s underground in the summer. That is far more unpleasant. And I must pay to use it. However, if you’re familiar with the art of Hieronymus Bosch or Pieter Bruegel the Elder, then the infernal regions can be overwhelming at first. There are pits of fire, the sounds of screaming and suffering, and an extraordinary tide of humanity. But it’s still not as crowded as southeast England. Funding is available to start-ups displaying consummate creativity – just note that the money may have been obtained via acts of questionable legality. But hey, it’s business. You probably do that already. In terms of the dead, you may also wonder who ended up here. Easy to answer – people who litter, people who say “know what I mean?” at the end of every sentence, and PR execs. Of course the latter are here. Who do you think torments all the journalists in Hell? This was my first perusal of perdition, but I do think it would be a good place to live and do business. Satan and his minions are keen to work with fintech firms and if you steer clear of religion, you should be able to avoid their wrath. You’ll have to arrange any tax break deals with Satan on an individual basis but do be aware at the end of the contract you may forfeit your soul. Best to check the small print and “terms & conditions” on that. Please – I mean it – do check them. What a nice person and what a lovely thing to say. Can’t wait!